After our adventure-packed day in the Columbia Gorge our ship's captain David Kay put in a busy night piloting the Sea Bird all the way to Astoria at the mouth of the Columbia. 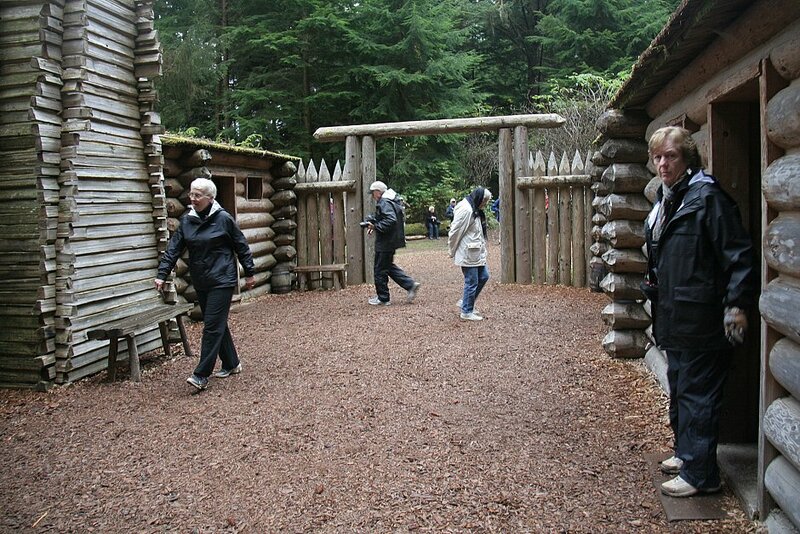 The next morning we were taken by motor coach to Fort Clatsop, a full-scale replica of the log fort in which the Lewis and Clark expedition had to spend the winter of 1805 because it took them longer to cross the mountains than they had planned. 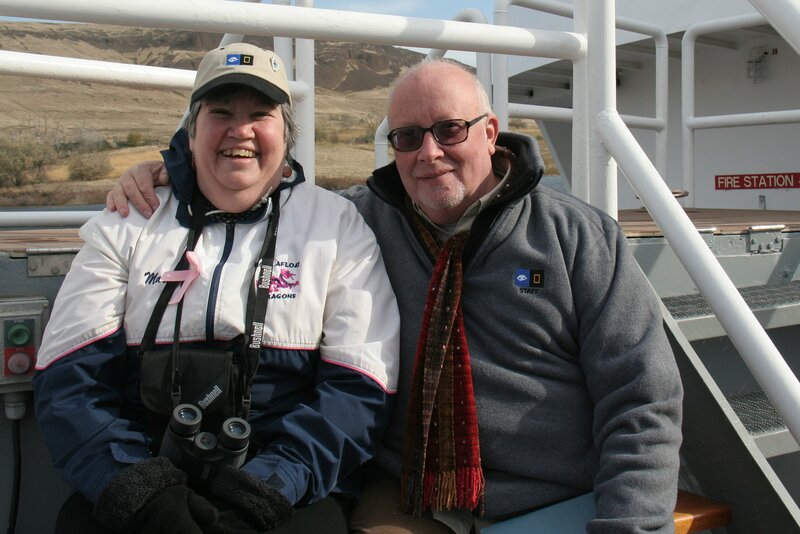 It was out of the question to continue their trip back up the Columbia in the winter months. After observing the ocean from a wet and windy camp on the north side of the river and exclaiming, "Oh the joy..." in early November, they crossed the river to find a suitable place to camp for the winter. 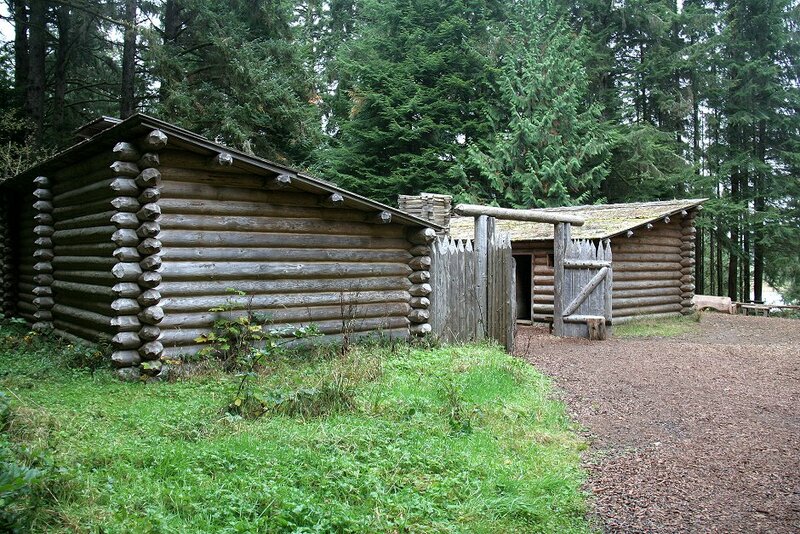 On December 10 they began to build shelter and by Christmas Fort Clatsop was completed. Click on brief story for a summary of these events. The evening before we arrived in Astoria Don Popejoy mesmerized us in the Sea Bird lounge with an exciting rendition of this story. 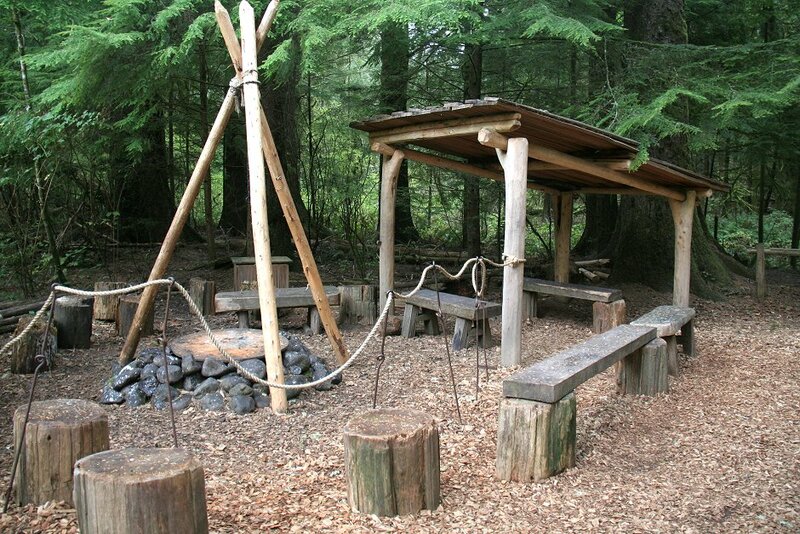 "Oh the joy" campsite and Fort Clatsop. 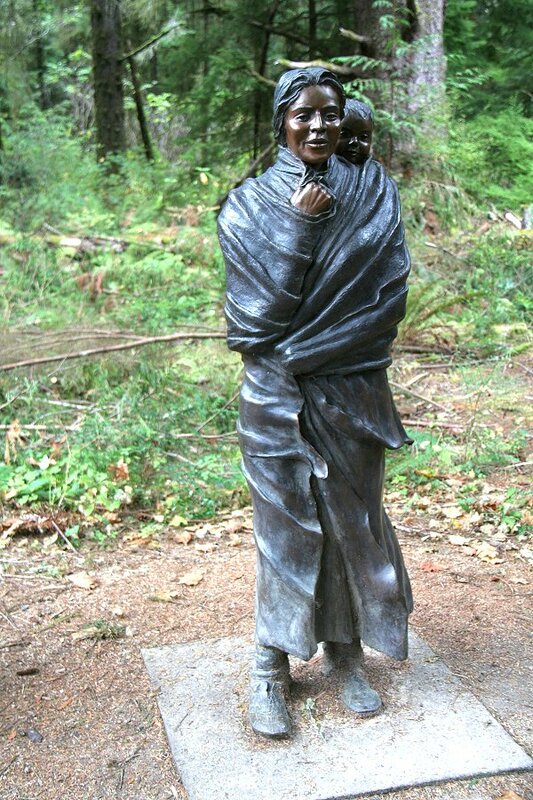 Just outside the fort was this statue of Sacajawea. Crop into her bust and her daughter Lizette Charbonneau. 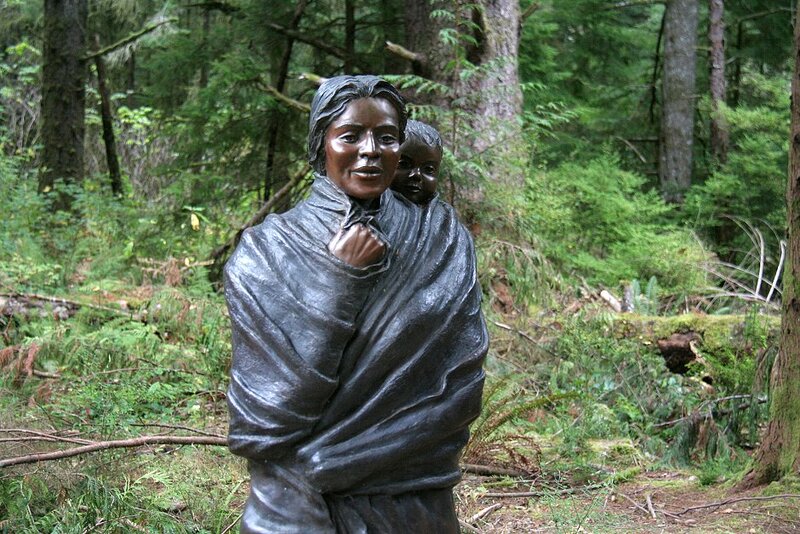 Aside from Lewis and Clark themselves, Sacajawea may have been the most important member of the expedition. 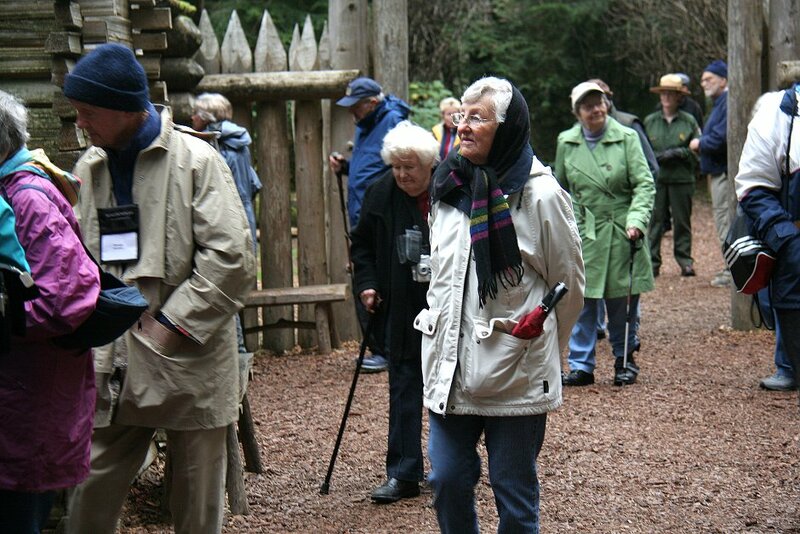 She was an excellent guide and also paved the way for good relations between the Corps of Discovery and the many American Indian tribes encountered throughout their journey. Not mentioned by our guides, another contributor to the survival of the Corps was a single Girandoni air rifle brought on the expedition. Click here for an excellent video of why this gun, never used against the tribes, was so important to the success of the expedition. 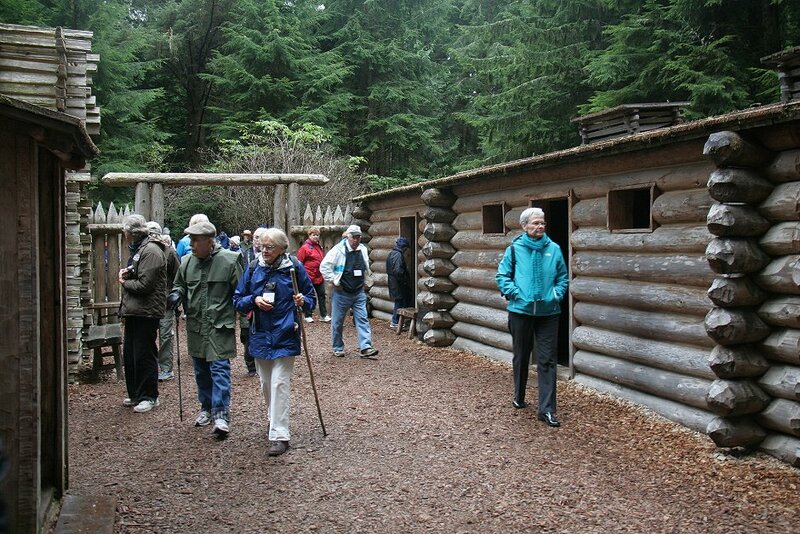 A short walk brings us to Fort Clatsop on its original site. 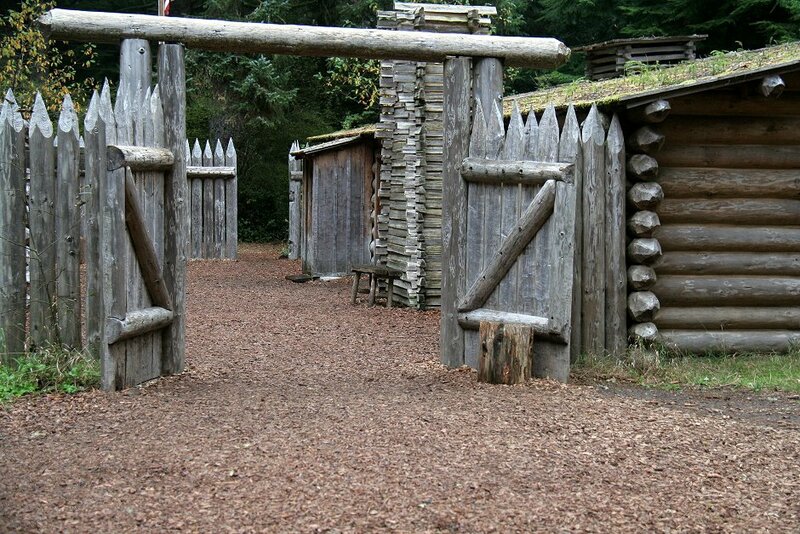 Front entrance to the fort. 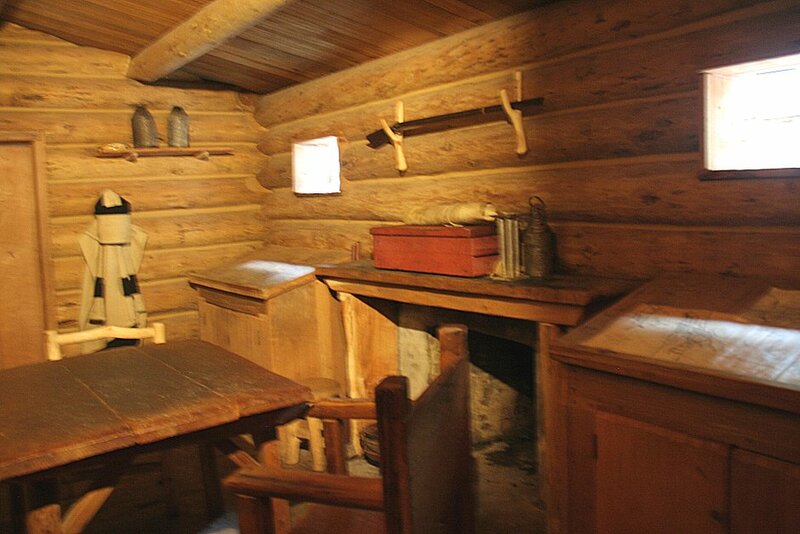 The fort ranger relates a bit of history. Mary is mostly hidden, fourth from the right. 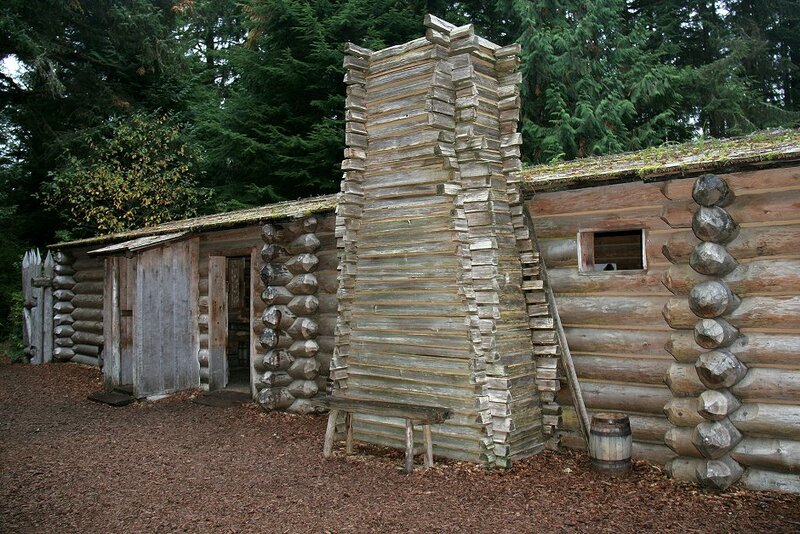 There was little stone available so Lewis and Clark had the fireplace chimney built of split logs. In the fort looking back toward the front entrance. 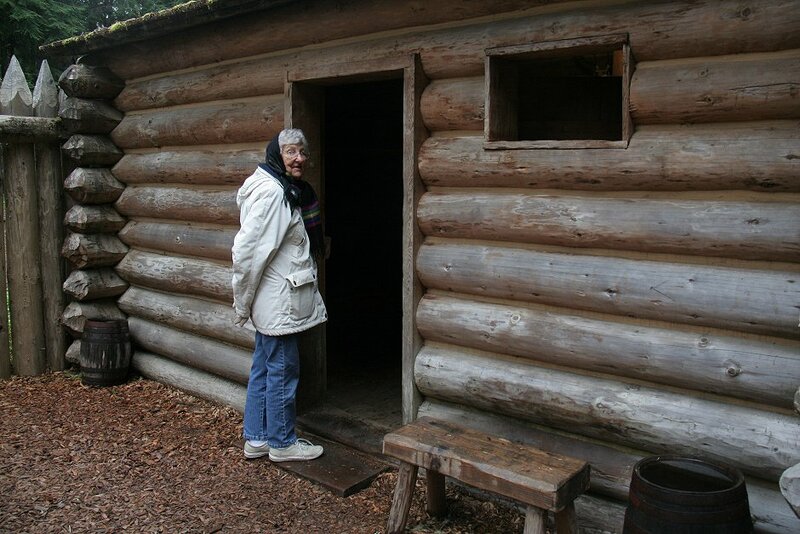 Mary heading to one of the cabins. 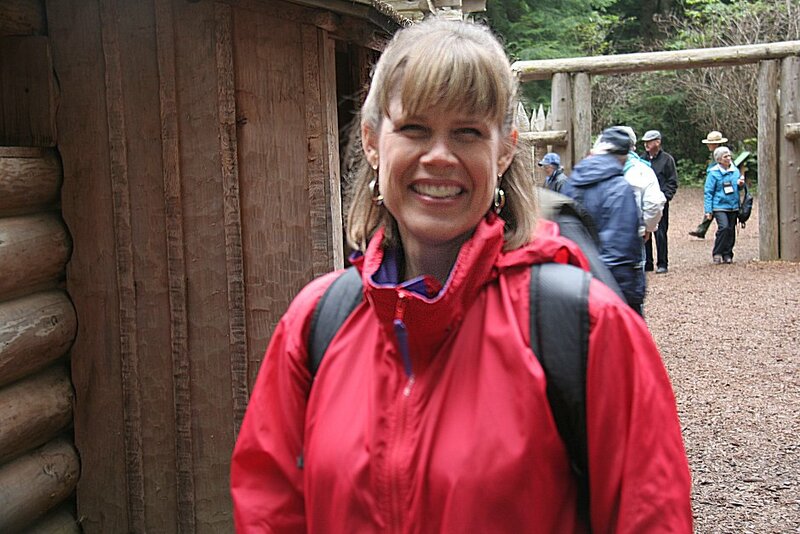 Mary turns reluctantly for a picture (a hazard of being married to a photographer). Mary among the crowd. She kindly "volunteered" to hold my umbrella in her pocket, as I needed both hands for pictures. The youngest member of our group. Her husband was home with their children. Next time he goes while she stays home. Fire and meeting area just to the side of the walled fort. 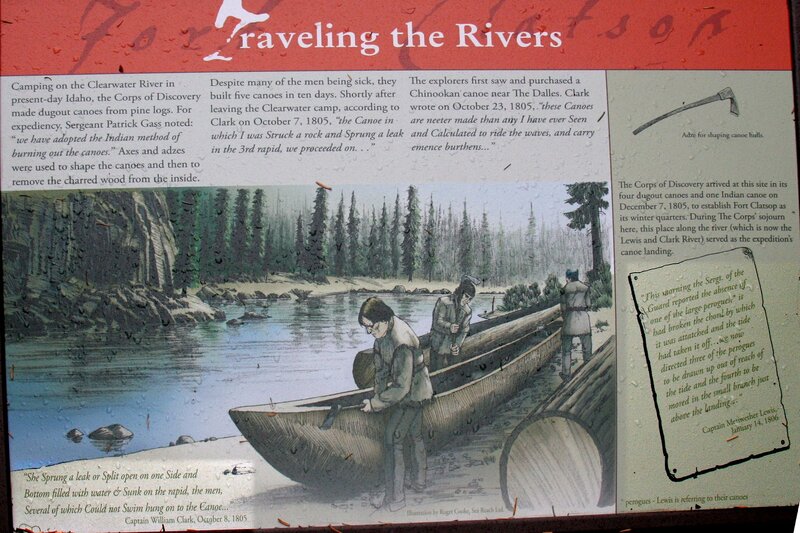 This is a painting of expedition activities printed on a weatherproof placard. 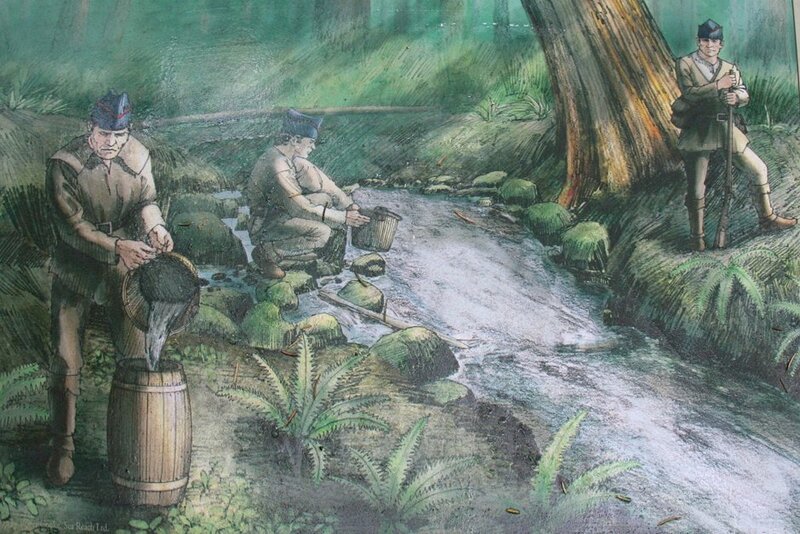 Saving fresh water, fishing, and hunting for food. 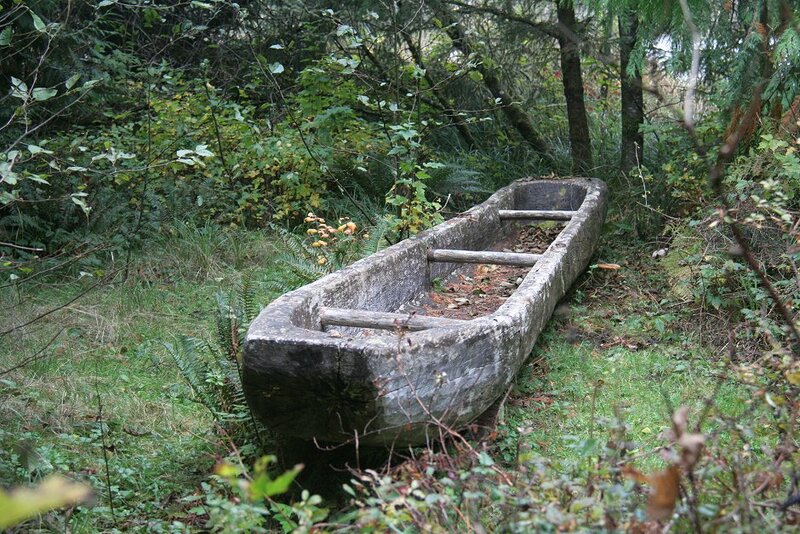 Don Popejoy had pointed out that the Americans' dugout canoes were very primitive compared with the natives'. 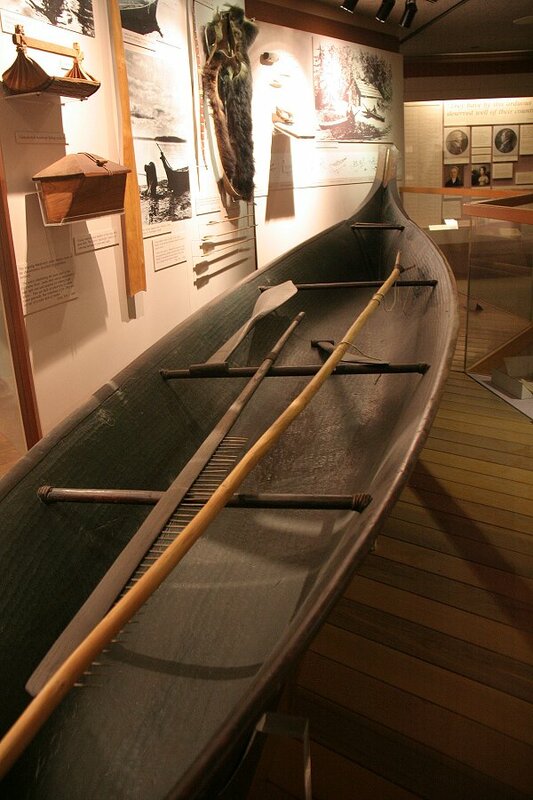 I made sure to photograph a native canoe in the museum at the fort. Another outside exhibit. This is much easier to read if you right click on it to open a larger version in a separate tab. 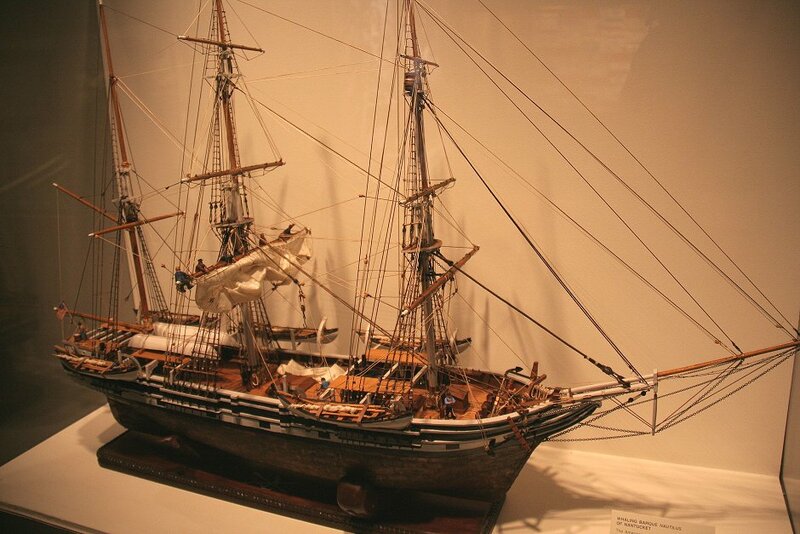 Note that the artist gave more credit to the expedition's skill than did the maker of the "replica" canoe above. 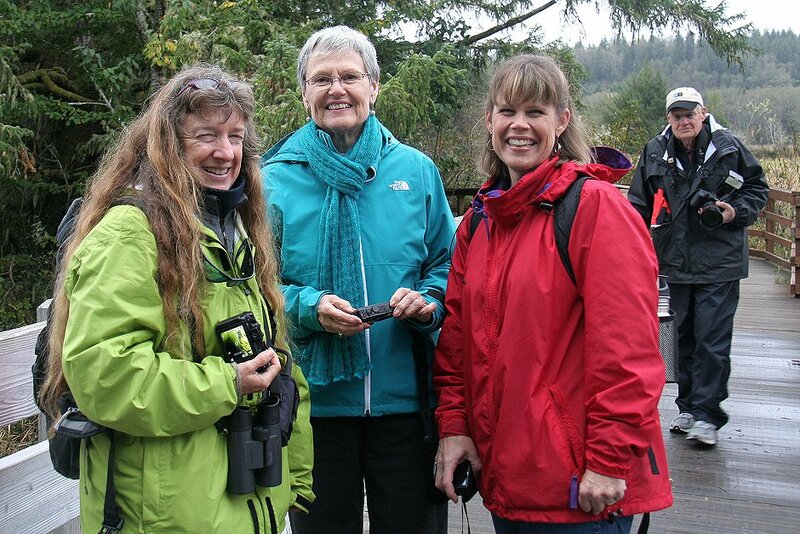 Linda Burback, on the left, gave good advice on photography. 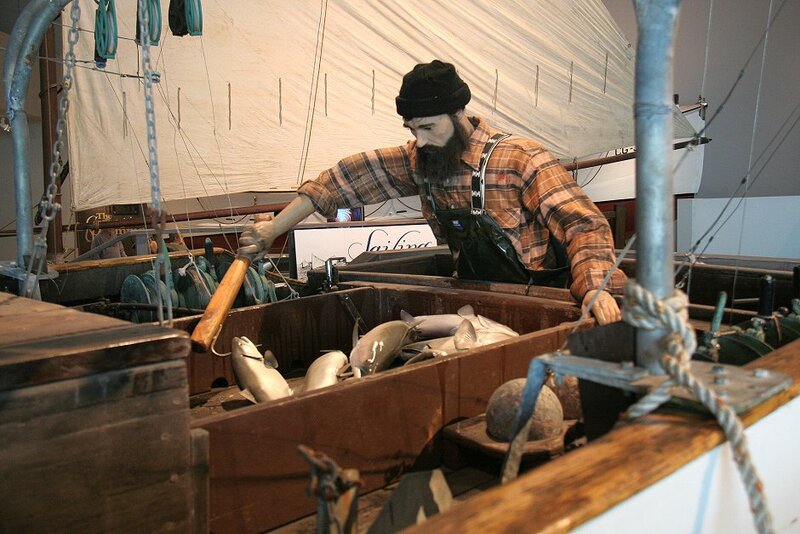 Later in the day we visited the Columbia River Maritime Museum. As the guide babbled on I took a few uninspired photos. Here's another. I'll spare you from any more.